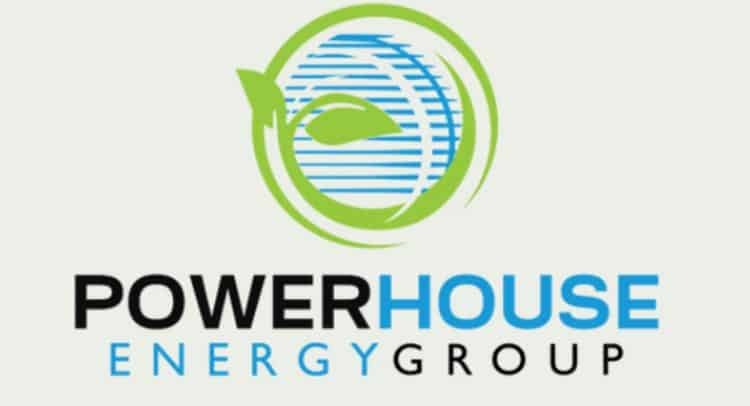 PowerHouse Energy Group plc (AIM: PHE), the UK technology company pioneering hydrogen and clean energy production from waste plastic, is pleased to announce that its development partner, Waste2Tricity Limited (“W2T”), has concluded negotiations and signed an agreement with Peel Environmental for an 124 year lease of a plot on the 54-acre Protos energy hub site, an important milestone in its plan to build a waste plastic to hydrogen and power facility. PowerHouse Energy has developed a proprietary process technology – DMG® – which can utilise waste plastic, end-of-life-tyres, and other waste streams to efficiently and economically convert them into syngas from which valuable products such as chemical precursors, hydrogen, electricity and other industrial products may be derived. The PowerHouse technology is one of the world’s first proven, modular, hydrogen from waste (HfW) process. The PowerHouse DMG® process can generate in excess of 1 tonne of road-fuel quality H2, and more than 28MW/h of exportable electricity per day. Waste2Tricity is a structured solutions provider to the energy-from-waste (EfW) sector, an industry supplying increasing amounts of electricity using feedstock diverted from landfill. Waste2Tricity works with clients and partners to develop, fund and support EfW deployment projects that use proven technology, are profitable and progressive; projects that currently use high temperature gasification and either steam cycle or internal combustion engines/gas turbines (ICEs/GTs) to efficiently convert waste to energy. Peel Environmental, part of Peel Land and Property (Peel L&P), owns and develops waste infrastructure projects. It has achieved consent for a range of energy infrastructure schemes including a 35MW Energy from Waste plant at Protos in Cheshire, 21MW Energy from Waste plant and 250,000tpa AD and MRF in Glasgow; and a 20MW Energy Centre at Houghton Main, Barnsley. Peel works with investors, waste management companies, technology providers and contractors to secure a deliverable business model for each project. Peel Environmental brought forward and consented the Protos development, previously known as Ince Resource Recovery Park. Protos is the destination of choice for energy, innovation and industry. Boasting unrivalled connections to some of the region’s biggest industrial forces, Protos is a strategic energy hub at the core of the Northern Powerhouse. The 54ha (134 acres) development site has full outline planning consent and part detailed planning consent for general manufacturing and distribution uses (B1, B2 & B8), as well as a biomass facility and an Energy from Waste facility. Set on the south bank of the Manchester Ship Canal in the North West of England, the site is ideally placed to become an industrial micro-climate, with enviable transport links providing access to UK and International markets and surrounding industrial heartland.